France's military struck rebels in Chad to prevent a coup d'etat against President Idriss Deby, Foreign Minister Jean-Yves Le Drian said on Tuesday. On Deby's request, French warplanes bombed a heavily-armed rebel convoy that crossed last week from Libya deep into Chadian territory. "There was an attack by a rebel group that came from southern Libya ... to take power by force in N'djamena. 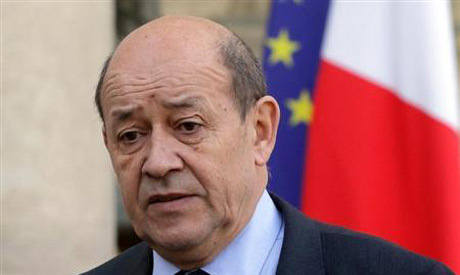 President Deby asked us in writing to intervene to prevent a coup d'etat and protect his country," Le Drian told lawmakers. President Emmanuel Macron has said he wants a new relationship with France's former colonies and that the era of propping up leaders in return for lucrative contracts for French companies -- a policy known as La Francafrique -- is over. "This (intervention) was totally in line with international law," Le Drian said. The incursion, which Chadian troops tried to halt, underscores how Deby's fight against Islamist militants in the region has stretched his military. The military effort has diverted finances away from public services and the economy, fuelling popular discontent in one of the world's poorest nations.